Is I-526 the school prayer of Charleston’s mayoral race? In other words, is it the meaningless distraction from the real issues facing our city? 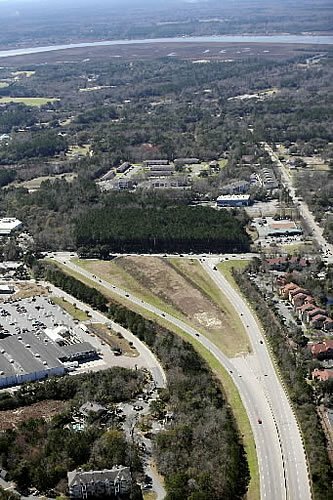 Here’s a quick primer for anyone unfamiliar with the issue: the interstate “loop” around Charleston is incomplete: it runs from a point on the coastal road, U. S. 17, north of the city; circles inland through upscale Daniel Island and modest North Charleston; and terminates on U. S. 17 (Savannah Highway) south of downtown in West Ashley. 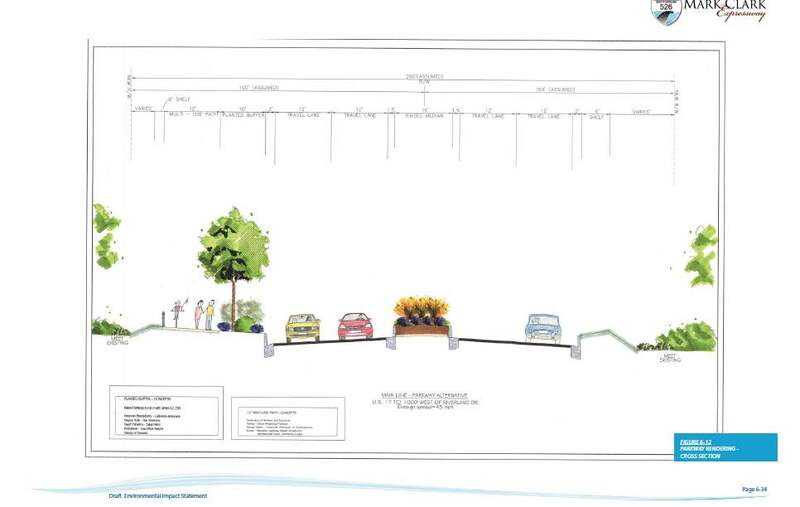 People in Charleston have argued for decades about whether we should extend the southern loop beyond Savannah Highway, across Johns and James Islands, so it can link with the James Island connector, a limited-access highway/bridge that terminates downtown on Calhoun Street. I think we started debating this issue just about at the end of Reconstruction. It divides us like a Civil War. It’s too complex to boil down to pro-development versus pro-environment, but ideology does tinge the debate, at least today in the argument’s umpteenth corporeal form. Those in favor of extending the highway are comfortable with the old-style development of American cities: promoting prosperity through car-access and suburban development. Those opposing it favor new-style development, with more compact, higher-density cities and lots of public transportation. 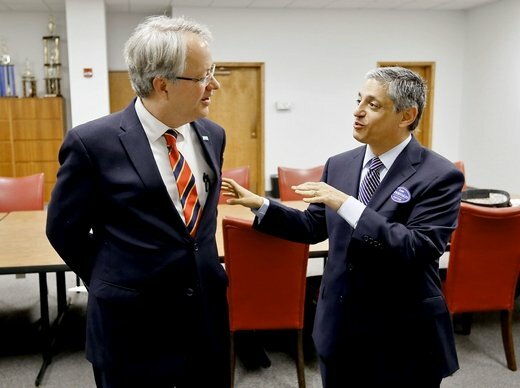 John Tecklenburg (left) and Leon Stavrinakis. The bludgeon is just off camera to the right. But the mayor of Charleston has little to do with it. By opposing the extension, he might be able to send a cannonball through its side and finish off this floundering ship. By approving it, he does no more than cheer it on from shore. “Don’t sink!” he shouts encouragingly. If the mayor could get that road built, motorists would be driving across the marshes with their windows down, already enjoying the brisk fall air. Joe Riley vigorously supported it. If powerful, popular, influential Mayor Riley couldn’t get it done, neither will the new mayor. That’s because completing I-526 depends upon three public authorities. The South Carolina Department of Transportation and the State Infrastructure Bank are influenced by the state legislature and the governor. The third body is Charleston County Council. The Mayor of Charleston has little leverage to move any of the three. I don’t know why Stavrinakis thinks he’ll have more influence tomorrow from the corner of Broad and Meeting than he has today from his desk in Senate chambers. Plus there’s the price tag. The State Infrastructure Bank will only finance $420 million—what it would have cost to build it years and years ago. Now the price is $725 million. Stavrinakis suggests raising the $305 million difference with a county-wide sales tax or an increase in the state gas tax. Good suggestions, but neither can be enacted by the mayor nor even his City Council. Yesterday, Stavrinakis insisted that “[n]o one can doubt my commitment to this project.” No one does. But then he said that this is a “watershed election for I-526.” That’s bogus. Here’s the difference between the two candidates: Mayor Stavrinakis won’t bridge those marshes, and Mayor Tecklingberg really won’t do it. Not much of distinction there. But I-526 brings up some critical issues neglected by both campaigns. 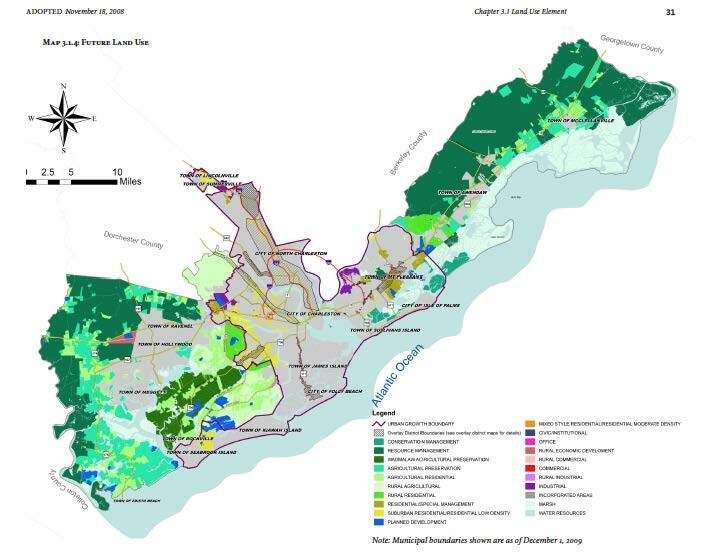 Do the candidates support and will they vigorously defend the Urban Growth Boundary delineated by the Land Use Element of the county’s Comprehensive Plan? In other words, will their regime encourage suburban sprawl, or will it encourage high-density urban development? Of course no one is going to get on a soapbox and announce, “A vote for me is a vote for suburban sprawl!” But to oppose sprawl, you’ve got to make some tough decisions, like supporting the controversial “gathering place” zoning regulations. What’s the candidate’s opinion, for instance, about the new James Island apartment complex on Maybank Highway? That’s a real question. And how the candidates answer would be of real consequence. Or how about this one: Will you raise $305 million to improve mass transit? It’s hard to tell where these candidates stand on the real issues, but I’m encouraged by what Tecklenburg says about West Ashley. He wants to revitalize the long-neglected, biggest part of Charleston, improving existing roads like Sam Rittenberg and Savannah Highway. I think he’s afraid to come out and say it, because Stavrinakis is making the Coastal Conservation League into a mill stone, but it sounds to me like Tecklenburg favors many of the reasonable suggestions in the CCL’s plan for West Ashley, A New Way to Work. And so he’s got my vote. Just discovered your site. It’s always great to read intelligently written local commentary. I agree that 526 is a distraction this race, yet Leon seems to have double downed on it in the last week. Personally I think he overestimates how many voters think completing 526 is such a burning priority.Ironically, Leon already has much more power to affect the outcome up in Columbia, although he hasn’t managed to do that. I also think treating the CCL like they are some sort of eco-terrorist front instead of a group that has helped the Lowcountry in ways that most people support (i.e., saving the land around the Angel Oak and fighting the development of Captain Sams Spit) shows how unnecessarily divisive he would be as mayor.